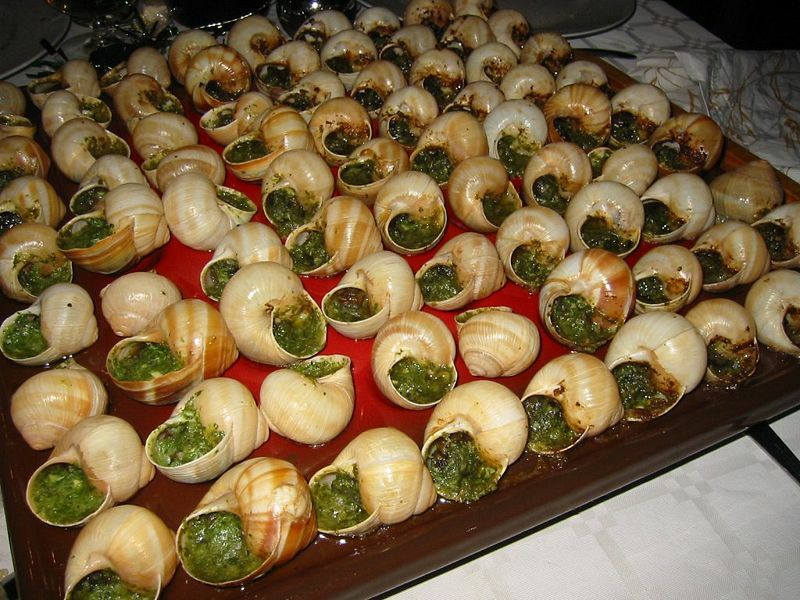 Escargot is a dish of cooked land snails, usually served as an appetizer. The word is also sometimes applied to the living snails of those species which are commonly eaten. Escargot is the French word for snail. Left: Escargots de Bourgogne, ready to be eaten. Not all species of snail are edible, but many are. Even among the edible species, the palatability of the flesh varies from species to species. In France, the species Helix pomatia is most often eaten. The "petit-gris" Helix aspersa is also eaten, as is Helix lucorum. In Western culture, typically the snails are removed from their shells, gutted, cooked (usually with garlic butter or chicken stock) and then poured back into the shells together with the butter and sauce for serving, often on a plate with several shell-sized depressions. Additional ingredients may be added such as garlic, thyme, parsley and pine nuts. Special snail tongs (for holding the shell) and snail forks (for extracting the meat) are also normally provided. 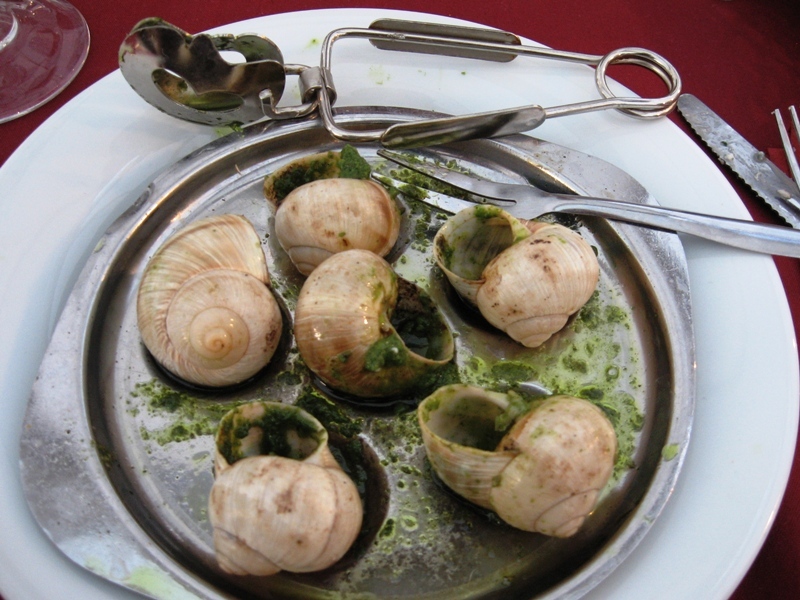 Left: Plate of escargot, with tongs and fork.